On May 3, the U.S. Food and Drug Administration (FDA) announced an expanded recall affecting tons of frozen vegetables and fruits from various major brands, fearing Listeria. 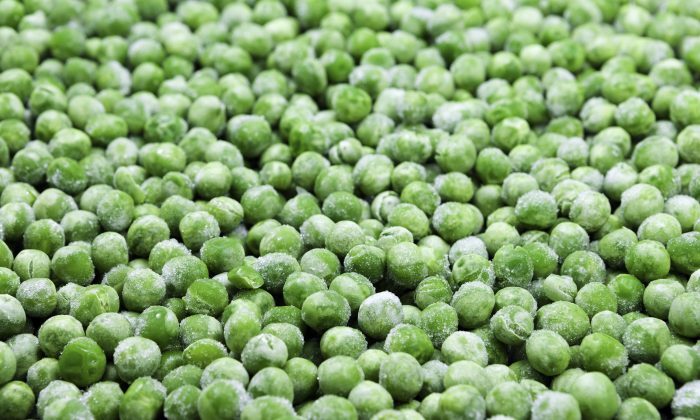 “As a precaution, CRF Frozen Foods of Pasco, Washington, is expanding its voluntary recall of frozen organic and traditional fruits and vegetables,” the FDA statement reads. “The organism can cause serious and sometimes fatal infections in young children, frail or elderly people, and others with weakened immune systems,” the statement said. The CDC has informed the frozen foods packing company of seven confirmed cases of people hospitalized due to Listeria, from three different states. Products recalled, which include all manufactured or processed in the CRF Frozen Foods’ Pasco facility since May 1, 2014, have the ‘best by’ dates of April 26, 2016, and April 26, 2018. Organic and non-organic broccoli, butternut squash, carrots, cauliflower, corn, edamame, green beans, Italian beans, kale, leeks, lima beans, onions, peas, pepper strips, potatoes, potato medley, root medley, spinach, sweet potatoes, various vegetable medleys, blends, and stir fry packages, blueberries, cherries, cranberries, peaches, raspberries, strawberries, and more. The statement says that all retailers who received the products have been contacted, which include products from all 50 states, as well as the Canadian areas of: British Columbia, Alberta, Manitoba, and Saskatchewan. A thorough review is currently being conducted, and customers who bought these items may return them to the purchasing store for a refund, or simply throw them away. For the complete list of items, sizes, and their UPC’s, visit the FDA’s announcement here.